Writing Creatively: A PUBLISHED Comic Book Writer In My Family! 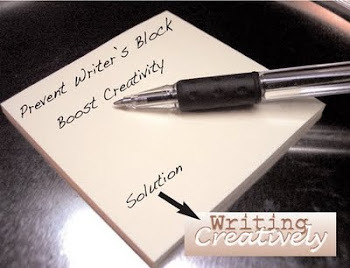 All my life I wanted SOMEBODY in my family to be a writer – to share my passion for writing. While he was living with me, one of my grandsons showed promise as a writer, and with so many grandchildren not yet old enough to know whether or not they’ll develop a love for creative endeavors, who knows what will transpire in the next decade or two? But, for reasons unknown, I wanted so badly for a family member to be a writer too. 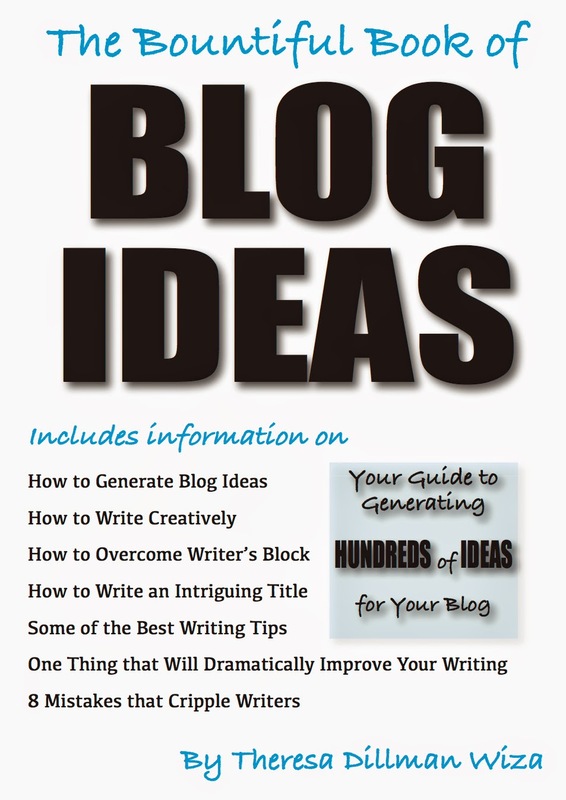 Attempts to get them (and close friends) to write blogs failed miserably. They wrote one or two posts and then forgot they even had a blog. I remember once asking my Aunt Glenda, a sensitive and emotional poetry writer, to write online with me. Sadly she died shortly after our exchange of emails. But then I discovered that her son, my cousin Phillip, cowrote a book about Pepsi memorabilia (Pepsi Memorabilia ...Then & Now), which was published many years ago, and I was happy to know I had at least one family member who was a writer. However, though we are cousins, Phillip and I never really got a chance to know each other at family gatherings. He is much younger than I am so we never really hung out. What does a 21-year-old woman have in common with a 10-year-old boy? So I didn’t get to know his personality until recently, and I’m so glad I did, because I’ve discovered that I have one very funny and talented cousin. Because he is also the family genealogist, until recently, I had seen only the serious side of him. I read with fascination his posts about ancestors I never knew we had and I am especially captivated by photos he posts of great great great great grandfathers and grandmothers we share. At our Dillman family reunions, I meet new-to-me cousins and I get to learn a little more about the cousin who was too young for me to know when the whole family got together so long ago at our grandmother’s home in Chicago’s south suburbs – when all my aunts and uncles were still alive. Phillip’s father was my father’s brother, and out of the five siblings and their spouses, only my parents and one aunt survive. When I discovered that Phillip had written another book, a collection of humorous cartoons, I introduced him (online) to a very funny woman I had “met” many years ago when we both wrote for a web site that recently died. While it was still alive, Donna Cavanagh set up her own website for comedy writers who were banned from the aforeUNmentioned web site and while she was putting together that amazing opportunity for comedy writers, which she appropriately called, Humor Outcasts, she also gave birth to two publishing venues – Humor Outcasts Press for comedy writers and Shorehouse Books for other types of books. So I put Phillip in touch with Donna, who reviewed his book and BAM! – not only did she accept his manuscript – she published it! 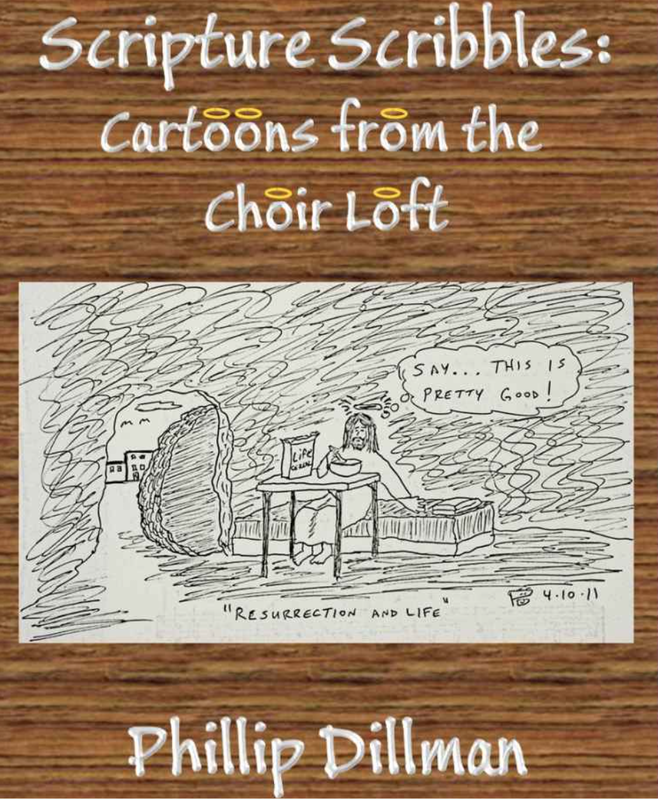 But the best part is that Scripture Scribbles: Cartoons from the Choir Loft, even in its infancy, is already doing very well on Amazon! I read the entire collection of cartoons at a recent family reunion when Phillip handed me his manuscript, and I have to say, I learned a little more about this very funny and gifted man and found his book not only surprisingly entertaining (after all, I’m still getting to know him), but also funny and insightful. I can only imagine that God has a twisted sense of humor sometimes and that he conks my cousin on the head while he sits in the choir loft scribbling his thoughts on Scripture. – Yes, he actually scribbles his drawings while he is sitting in the choir loft – and his pastor and members of the congregation? Well, they love his work so much, they are disappointed when he doesn’t scribble his cartoons. Scripture Scribbles: Cartoons from the Choir Loft is getting some great reviews and I’m very happy for my cousin. I haven’t bought a copy yet, though. I’m holding out until I get a signed copy in my hand. Want to know a little more about the man behind the book? Read his Humor Outcasts interview by clicking the link. And if you’d like to purchase the book, please click on any of the Scripture Scribbles: Cartoons from the Choir Loft links in this blog. One last thing – you can also visit Phillip Dillman’s Humor Outcasts page by clicking the link.